The weather in Florence has been roasting until this weekend. For the orchestra concert in the Bargello on Tuesday we were afraid it might rain. It did but stopped in time for the concert, and the weather was quite beautiful. The performance was a combination of the Orchestra da Camera Fiorentina and I Cameristi del Maggio Musicale Fiorentino. This combination of musicians produced a big beautiful sound in the relatively small space of the Bargello. 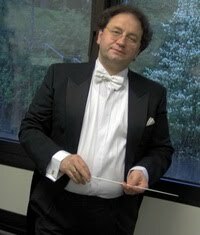 The conductor was Giuseppe Lanzetta, the same man I reviewed two years ago. I still like him a lot. The first piece was the Violin Concerto by P.I. 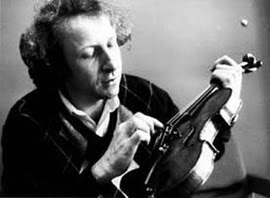 Tchaikovsky with Latvian Ilya Grubert as the outstanding and very virtuosic violinist. He played Ysaye's Ballade as an encore, and it was very wowie. Then they played Beethoven Symphony number 5. The audience was small--there isn't room for anything but a small audience--but highly enthusiastic, and the orchestra encored the fourth movement. The acoustics were also excellent. It was a highly enjoyable evening.